Summer is the prime time to have your handyman work on your home projects. But if you are like most people, you look at those summer months on the calendar and think, “I’ve got time, I’ll call him when I get a chance.” Then suddenly you look up and it’s the end of August and you haven’t called him. Not once. That’s okay, you aren’t alone, and it’s never too late to call Arc Handyman, Santa Barbara’s Top Rated Local® Handyman Expert to handle all those end-of-summer jobs. If you are in need of major roofing repairs or an entirely new roof altogether, then it is probably a good idea to contact a specialized contractor. But for modest roofing repairs, a handyman can make sure that everything is in order. Over time, both interior and exterior walls can take a beating. Have you moved recently? Then it’s likely that new couch knocked some holes into that drywall. Do you own rental properties? Renters are notorious for leaving behind less than perfect walls. Heat, wind, and dust can all damage exterior walls. Whatever the project you have in store, Arc Handyman is ready for the job. You have probably spent a lot of time on your deck this summer. As well you should. So now that fall is on its way, will your deck fall out of favor? Not likely! Fall is a great season for spending time outdoors. Think fall barbecues before the big game. Think roasting marshmallows over your fire pit. Think stargazing with your significant other. But your deck likely got a little roughed up from all the summer activity. Have it maintained and cleaned up before the fun fall festivities commence. Your family and guests will thank you. Now that the kids are back in school, you and your family will probably be spending much more time indoors. After running around picking kids up and dropping them off and in between meals and homework, the living areas are going to be busy. 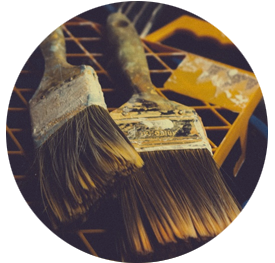 If you have been putting off that spiffy new coat of paint, now is the time to have it done. You don’t want to have your living areas unusable when life starts to get crazy. Get it done now, and enjoy the end results afterward. It’s not really a good idea to put off electrical work that needs done. But if you have, that’s okay! We are ready to help you out now. Whether it’s light fixtures that need replaced, or outlet repairs, or attic fan installation, Arc Handman has you covered. No matter what kind of work you need done on your home, Arc Handyman has the experience, the tools, and the knowledge to get the job done. 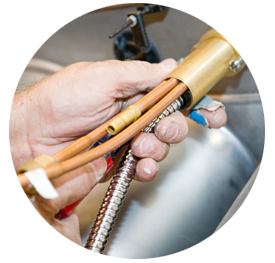 For more information about our residential handyman services, contact us today.